However, it is crucial the properties are thoroughly inspected, the risks are easily understood, to understand the cost of the transaction prior to placing a bid and the tasks involved when a bid is accepted. “When we avoid purchasing properties that are for sale by auction, we are ultimately missing out on a lot of exceptional buying opportunities that could potentially increase our wealth.” Say’s Rainer Stenzhorn, Marketing Director of In2assets the commercial and industrial property marketing company, with agencies around South Africa. 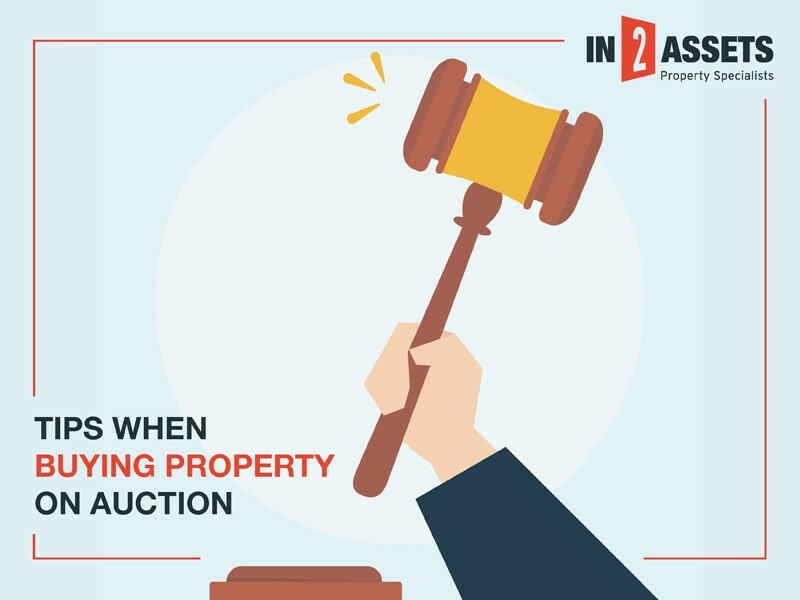 You should never just pitch up to an auction event and start bidding on a property. It is important to do your homework, get the feel of the market, decide what type property and which area you want to buy, and lastly how much you are willing to spend for a specific property. One of the most important aspects of buying property at auction is to do your homework in advance. This includes a detailed inspection of the property, clearly understanding the market value, look for upsides and if additional renovations or repairs would be required. Register to be a bidder. As soon as the property has been viewed, you need to register to be a bidder at the auction. The auctioneers will begin the process by accepting the registered bidders and going through the conditions of the sale. Make sure your finance is in order and that you understand clearly the condition of the auction sale before you attend an auction. Remember, you don’t have to feel pressured to place a bid early, however, if you have your budget in place there is no harm to open the bid below your budget to see where the bidding goes to. Sometimes it seems like no one is interested at first, but bidders are simply holding back. Always remember the auctioneers’ task is to pursue the highest price possible. So, don’t let the auctioneers and other buyers drive you out of your own comfort zone. Make sure you are seen and heard. Seat yourself in a visible place. When placing a bid, make sure your voice is loud and clear. By doing this, it shows your confidence and intent that you are serious about doing business. Have all your legally required documents on hand when attending an auction such as your ID, proof of residence etc. It’s important to consider whether the property has currently tenants and what type of lease are in place. Remember at the fall of the hammer, the auction is a final transaction, and this means if you are the highest bidder and the bid was accepted, the property is yours with no further negotiations. The contract will be signed there and then. The fundamental factor is that you are able to buy property that has exceptional good value at auctions. “As a potential buyer, do your homework in advance, be certain of what you can afford, be calm and cool when you are bidding at the auction” ends Stenzhorn.